During your Reiki session, I intuitively tune in to your whole being with the help of my spirit guides. Frequently, the connections between the emotional/mental/spiritual and physical bodies are made clear to me energetically, in the gentle and loving light of Reiki. This process allows me to show you what the core issues have been that have held you back from complete wholeness. In this way, we work together for your healing. Allow me to explain this in a little more detail. We know that the physical body is connected intimately with what you believe, your emotions, your feelings and your fears. By making these connections between your emotions and your physical body in the light of the Reiki energy which is constantly flowing, you are better able to integrate these emotions so you can move forward in light and love. We were made to be free of fears and negative emotions, which can tie us down into habitual, negative thinking patterns. This process brings the detrimental patterns and beliefs to light so that your movement toward wholeness can occur. This is my sincere invitation for you to come and experience first-hand what a Reiki treatment feels like and how it can help you. This gentle and nurturing energy will calm and relax you deeply, enabling your body and mind to rest and rejuvenate, returning to their natural state of wholeness. Reiki can be done over long distances because there is no distance when it comes to spiritual matters such as prayer and Reiki. In my experience, I have observed that Reiki is just as potent when sent over distance as in person. The Universal Reiki energy will flow to wherever your needs are, regardless of where you are. If you have a desire for a Reiki session but are unable to come in to my office, just schedule yourself using the self-scheduler on the right side of this page, for a 1 hour Intuitive Distance Reiki session. To get the most benefit from the treatment, my recommendation is for you to find a place where you can be alone and undisturbed during that time. I just ask that you sit comfortably and quietly in an attitude of receptivity at the same time that I am sending this blessing to you. To prepare yourself and your space, you may want to put on some soft music and/or light a candle. I will contact you before your long-distance Reiki session via text message, to tell you that I am about to begin, and after the session, to share what I sensed during your session, via email. I offer a sliding-scale fee structure for those who are unable to pay the full amount for an Intuitive Reiki session. Contact me for details. I don’t want finances to be an obstacle to your healing. 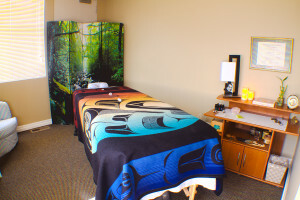 I am available for 1 hour Intuitive Reiki sessions in my Edmonds, WA office. I am also available for 1 hour Long-Distance Intuitive Reiki sessions. Hours are by appointment. Please note that cancellations within 48 hours and no-shows will incur the full price of the session, except for emergency situations or illness. Thank you!